Jeddah, KSA: Qatar Airways has today announced a new daily service to the popular city of Luxor, Egypt – effective 30 October 2016. 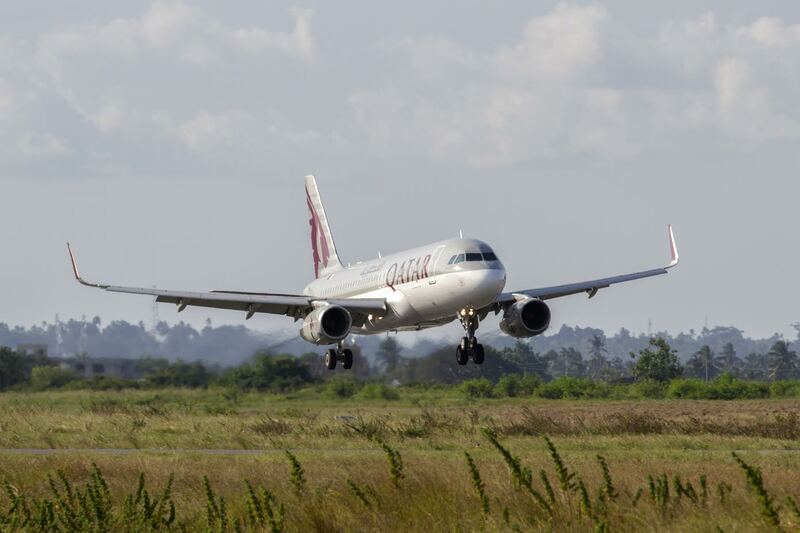 The now daily service is an increase on Qatar Airways’ current five-times weekly service to the Egyptian city, and will deliver an additional nearly 30,000 seats per year to the popular tourist destination. Filled with a deep Egyptian history and a rich cultural scene, Luxor is one of the world’s must-visit destinations and is famous for possessing one of the largest concentrations of historical monuments and antiquities in the world. The new daily service to Luxor further complements Qatar Airways’ existing services to Cairo and Alexandria and provides travellers with the flexibility to explore a multi-city visit to Egypt. Travellers touching down in Luxor looking for an Egyptian adventure can take in the Valley of the Kings, hop on a Nile cruise to seek out the world famous pyramids and Sphinx in Cairo, and can choose to return from Cairo or via Alexandria. Qatar Airways will fly a total of 33 flights per week to and from Egypt. In addition to the new daily Luxor services, travellers can choose from 16 flights per week to Cairo and 10 flights per week to the city of Alexandria. The additional services also provide the people of Luxor with even more convenient connections to Qatar Airways’ 150 destinations across the globe through its state-of-the-art hub at Hamad International Airport (HIA), in Doha. Qatar Airways operates both a morning and evening service to the city of Luxor, providing customers with even more options when traveling to or from the Egyptian city. Services on Monday, Wednesday, Thursday and Sunday depart Doha’s HIA at 7:10am and arrive in Luxor at 9:35am, allowing travellers to make full use of their day. The same day return service departs Luxor at 1:30pm to arrive in Doha at 5:10pm, providing swift connections to Qatar Airways’ global network. Flights departing Doha on Tuesday, Friday or Saturday depart Doha at 9:35pm to arrive in Luxor at 11:59pm, with the return service to Doha’s HIA operating shortly after at 1:30am (the next day) on Wednesday, Saturday and Sunday to arrive back in Doha at 5:10am, making these flights perfect for a weekend getaway. Qatar Airways is one of the fastest growing airlines operating one of the youngest fleets in the world. Now in its 19th year of operations, the airline operates a modern fleet of 190 aircraft flying to more than 150 key business and leisure destinations across six continents. This year travellers will continue to see Qatar Airways expand its global reach, with over a dozen new destinations to explore. So far in 2016, the airline has launched routes to Los Angeles (USA), Ras Al Khaimah (UAE), Sydney (Australia), Boston (USA), Birmingham (UK), Adelaide (Australia), Yerevan (Armenia), Atlanta (USA), Marrakech (Morocco) and Pisa (Italy) and most recently, Windhoek (Namibia) and Helsinki (Finland). New routes including Krabi (Thailand), and Seychelles will follow later in the year.